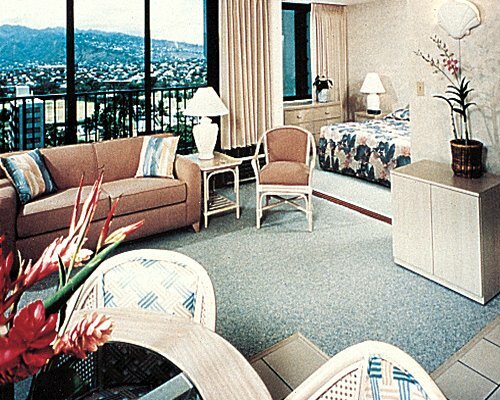 The Hawaiian Sun Holiday condominiums are located in the Waikiki Banyan, a block and a half from the famous Waikiki Beach in downtown Honolulu. Honolulu, the capital of Hawaii, is a thriving, modern city alive with cosmopolitan tastes of sophistication and softened by a regal heritage and ancient Hawaiian ways. Around the island you will also find popular places such as Sea Life Park, the Polynesian Cultural Center, Pearl Harbor Memorial, and more. Located a block from the beach, the resort offers a perfect spot to enjoy all the island has to offer. The Honolulu airport is approximately 10 miles from the resort. From the airport, take H-1 East for several miles. Leave the freeway on the King Street Exit #25-A. Follow the Waikiki signs to Kapahulu Avenue. Continue on Kapahulu Avenue to Kuhio Avenue. Turn right onto Kuhio to the Waikiki Banyan parking terrace, 1.5 blocks down on the right. 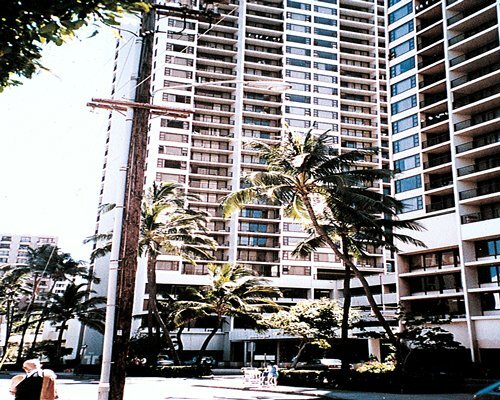 Guests arriving by private auto may enter the parking terrace off Kuhio Avenue. The parking attendant will direct guests to a temporary parking space to be used during the check-in process. Check-in is in Tower 1, Suite 403 at the Waikiki Banyan. Mandatory Lodging tax is 16.31 U.S. dollars. Cash or Credit is accepted. "Hot tub/Pool will be closed from May 13, 2019 to May 27, 2019."